Built in 1928, the Park Pacific is a beautiful building. 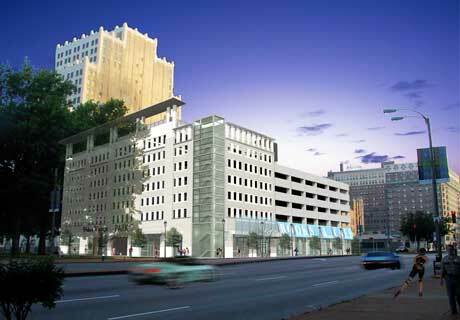 The proposed parking structure and residential addition was at one time beautiful as well. Of course something is nearly always lost from rendering to final project. 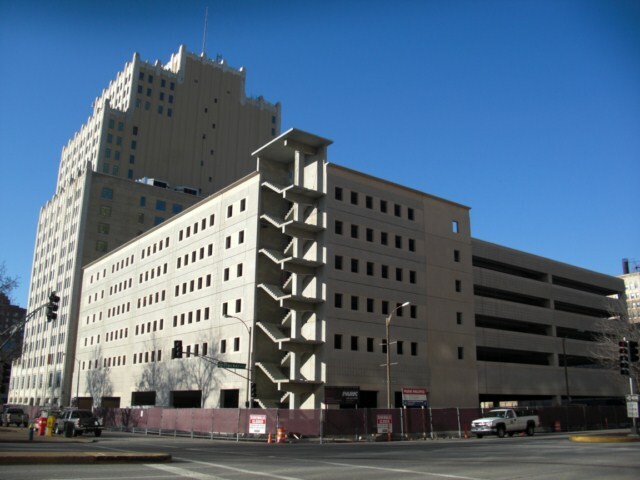 In this case, the cancelled residential component left just another bland garage. And that’s basically as promised, minus some signage and screens. With the news that KMOX, Y98 and KEZK are moving to the Park Pacific, it’s time to light up the garage and Tucker. 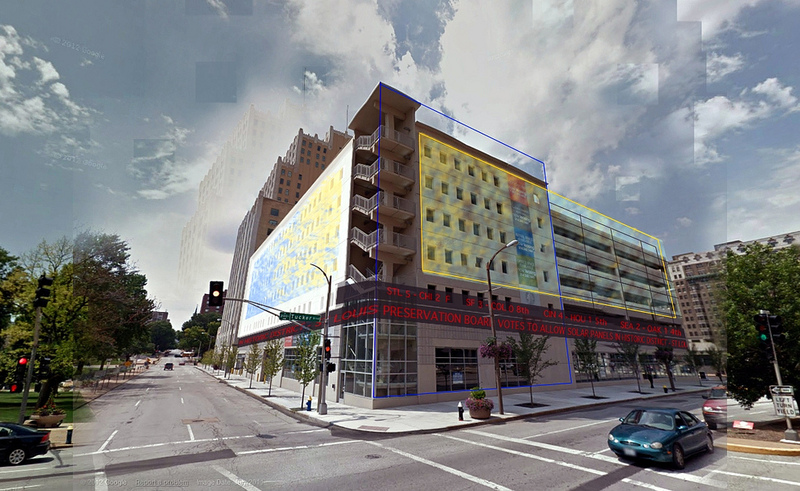 Unfortunately, Studio B will occupy the southwest corner of the building, a couple floors above ground level – no peering into the studio while walking by. 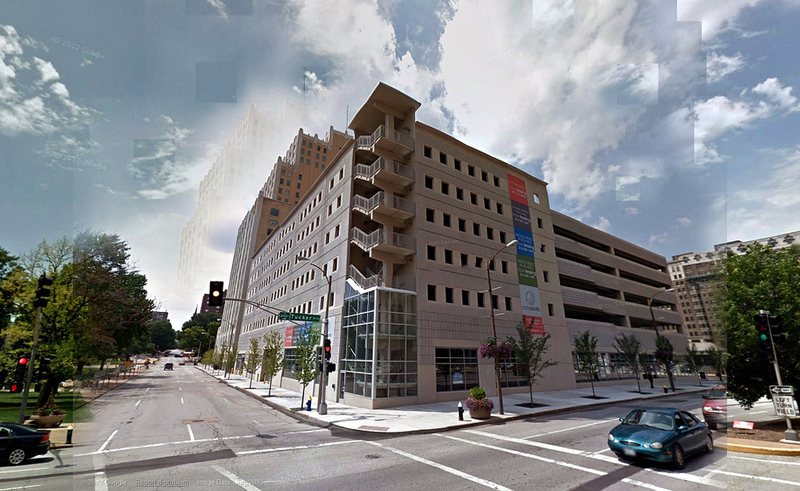 That doesn’t mean that the move can’t enliven the realigned and revitalizing Tucker Boulevard corridor. 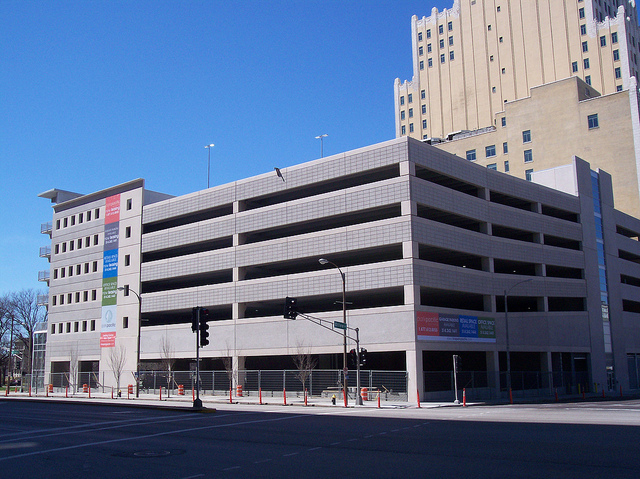 An LED scrolling marquee should wrap the southeast corner of the parking garage. This would highlight CBS stations, offering headlines, concert dates, weather and more. It would also visibly enliven the streetscape. 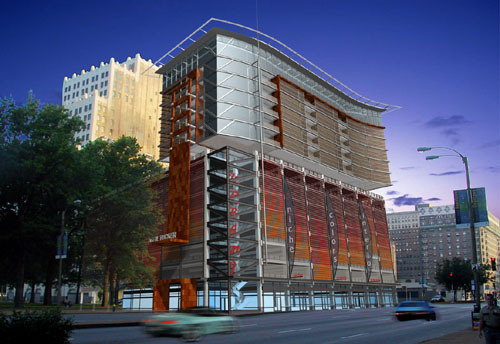 And this is a rather modest proposal, not a multi-million dollar project. Surely the city would permit such signage. 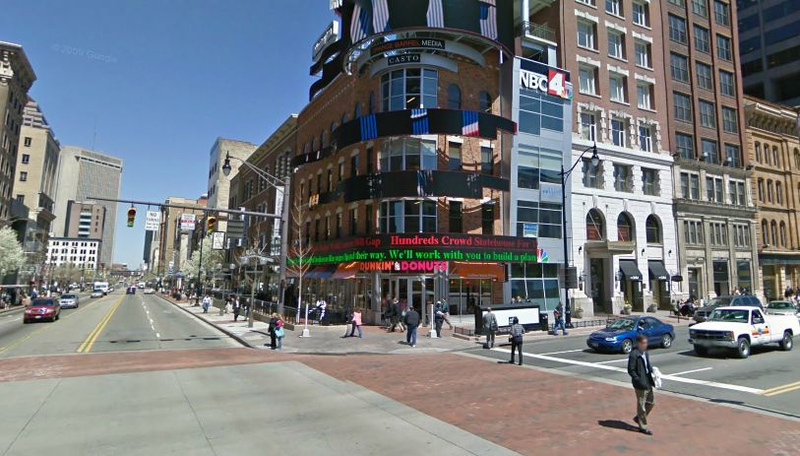 Additional screens or banners should adorn the east and south facades. While some mourn the move from One Memorial Drive, all three stations will not be on a single floor. That’s great, but the real opportunity, the most significant payoff could come from better visibility. The old address had a great view, but no street presence due to the cluster that is Memorial Drive and I-70 (and that’s just going to get worse). With the realignment of Tucker to the new I-70 bridge, SLU Law’s move downtown and the eventual renovation of the Jefferson Arms, this corner of downtown is about to become much more central to the city. It should reflect that importance.